Sandy Point Shoal Light is located off Sandy Point, near Annapolis, Maryland. 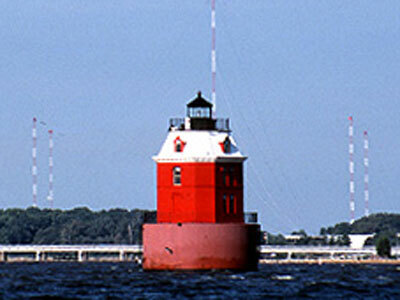 One of the area’s best known landmarks, the 3 story caisson type lighthouse is visible from the westbound span of Chesapeake Bay Bridge and the beach at Sandy Point State Park. Sandy Point Shoal Light is listed on the National Register of Historic Places.